Oppositelock poster hammerheadfistpunch caught a glimpse of the first 2014 Jeep Cherokee KL to be fitted with aftermarket off-road parts, and he really liked what he saw. 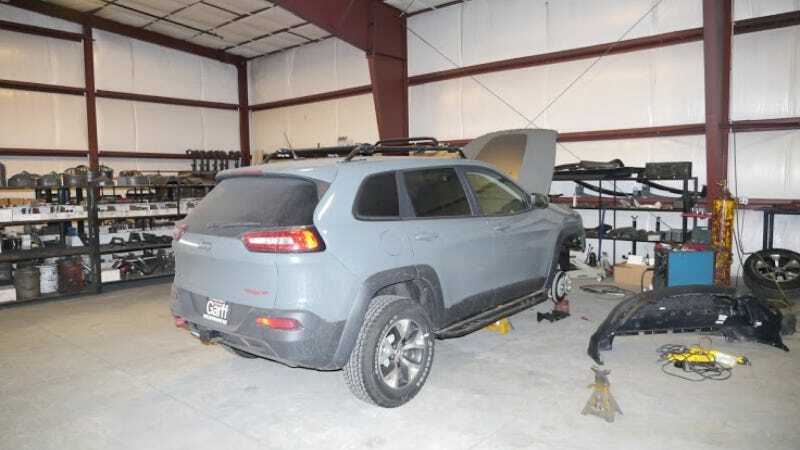 Apparently was there to pick up some rock sliders for his Land Cruiser and the crew at Rocky Road Outfitters let him have a look at the Cherokee prototype. I might take this opportunity to add that the guy running that shop was quick to oblige us with his take on the Cherokee lift situation when he heard we were asking about it. Those guys are alright.